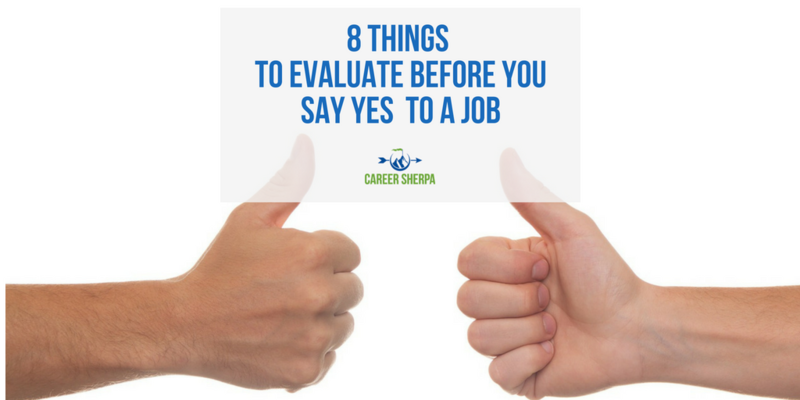 Before you say yes to a job offer there are a lot of things you will want to evaluate! You can prevent your premature departure from your next job by making sure you know as much as possible about the job, the company, its leadership and people you’ll be working with. Typically, job seekers view the job interview as their chance to highlight their skills, talents and abilities. But remember, the job interview is a mutual exchange of information. You are there to learn about the opportunity and assess whether it will be a good fit for you. You do this by asking questions. Between networking and the job interview, you should be able to get all your questions answered. Just don’t wait to find out until you are on the job. Can you see yourself working for this company? As you saw from the study above, a company’s culture or style of doing business can either make it a great place to work or make you miserable. It is often difficult to define what the culture is, but there are things a company does or doesn’t do, that will help you evaluate the culture. Below are different elements of the company’s culture you want to assess before saying yes to the job. Will you like working for this manager? There’s a saying that employees don’t leave companies, they leave managers. Your future manager’s interpretation and administration of systems, procedures, and how he or she empowers employees to make decisions, all impact your satisfaction in the job. How will I be evaluated in this role? What are the main indicators of success? What type of work do you delegate to your team? Has anyone on your team been promoted over the last couple of years? If so, what was the reason? What would be the something that your employees say you do extremely well? What type of recognition have you recently given to one of your staff? Can you tell me how you give feedback to your team? How does the company treat its employees? You can tell a lot about a company by the way it treats its potential employees during the recruiting process, its HR policies, and even how it exits employees either by termination or retirement. You want to get a sense of how the company policies work and what the company’s philosophies are. There is a laundry list of items to evaluate throughout the interview process. Some of these will be mentioned and highlighted others you may have to ask about. What types of rewards and recognition does the company offer? Who is eligible for training and development and are there limitations? How often do performance review occur and how does that process work? 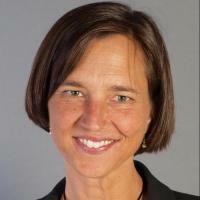 Is pay tied to performance? Is there a company wellness program? What was the last occasion your department celebrated? When does the workday start and end? What do people do for lunch? Will I like my future co-workers? Your co-workers greatly impact your satisfaction with the job. Since so much of your time will be spent working alongside these people, you want to gain a better understanding of their personalities, beliefs, values, skills and experiences. You want to get a feel for the types of interactions that occur between employees. In other words, is the team set up to be collaborative or confrontational, supportive or non-supportive, social or task-oriented? How does your manager support and motivate your team? What do you consider to be your company’s most important assets? What kind of philanthropy does the company contribute to or participate in? What’s one thing you would change about the company if you could? Will I like this job? What are the most important elements of this job? What are the three main factors you will be using to determine the right person for this job? What goals do you expect the person who takes this job to achieve during the first 30, 60, 90 days? If I was starting in this position today, what would you advise me to learn and do first? What would my interaction with my teammates be like? Is the company’s mission genuine? Almost every company has a vision, mission and values. The way a company operates should honestly reflect the beliefs and philosophies of the organization and trickle down so that it inspires employees. These mission and associated values should align or at least not contradict your own values. When assessing a company’s mission, you want to look for observable behaviors that align with the mission. You’ll also want to ask questions to test that the mission is truly part of the company’s culture. You should be able to find the company’s mission statement on their website. Use this to develop questions to test how the company lives up to its stated mission. Can I see myself working in here? The physical space and office amenities play an important role in your workday. You can visually assess what people place on their desks, what the company hangs on its walls, how workspace is laid out, the colors used, the amount of natural light and style of furniture. How often do employees use the gym [other amenities]? How does the company communicate? Companies have different ways of communicating internally. The platform, the frequency, and the transparency of the communication matters. Learn what the standards are for communication. How does the company communicate important information? How often do you hear about company press releases, new developments or news? How do you communicate with your manager and how often? How genuine or transparent is the communication that comes from leadership? How do departments communicate with one another? When decisions or new policies or procedures are made, how is that communicated? What’s the company’s leadership style? Leaders set the tone for how the organization communicates and operates. The style typically starts with the most senior leaders and trickles down to your future manager. But asking about leadership style is too vague and is unlikely to provide you with genuine information. Instead, ask questions about the behaviors of leadership. How does leadership communicate and interact with employees? How does leadership describe their vision for the company’s future? What do leaders celebrate and recognize? How do leaders make decisions? Do you trust the company’s leadership? What perceptions or beliefs do leaders support and reinforce? Will these questions help you get a better sense of the company culture before you accept a job offer?